Here is an antique children's poem of nature and imagination by Elizabeth Roberts Macdonald, published in the October 1910 issue of St. Nicholas Magazine. And nobody know we are there. Till tea-time, in Apple-Tree Hall. (Such a saving! 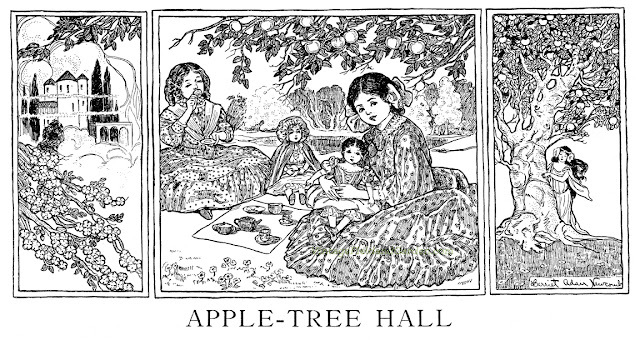 ), in Apple-Tree Hall. All the neighbors are charming, -- so musical, too! Are the sweetest we ever have heard. Though they are too bashful to call. When we're living at Apple-Tree Hall. In the years that wait, shining and fair. Keeping house here in Apple-Tree Hall!